College tuition increases every year, and parents are the ones who are most affected by these increases. As someone who likely works full-time to support your family and kids, you probably feel the tightening of your belt every year tuition skyrockets. It can sometimes feel like you are handing your money over to a for-profit business rather than a public university. 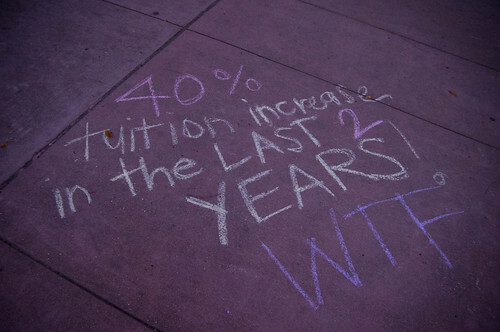 If you are wondering why the cost of tuition increases so dramatically every year, then you are not alone. Thousands of parents wonder why they are handing over more money every year for the education of their young adults. Here are just a few reasons for why college tuition is so high right now. Right now, students have an unprecedented access to GradPLUS and Direct Stafford loans through the government. Twenty or thirty years ago, some students were denied the opportunity to obtain better education because they could not afford to obtain this education. Now, students are willingly taking on thousands of dollars in debt in order to pursue the degrees of their dreams. Because the government and third parties make it so easy for students to access loans, some colleges take advantage of this fact and increase tuition as a result. Colleges will never outright admit this, but it is well-known that colleges capitalize on the access that students have to additional loans. As colleges continue to hire more deans, directors and board members, tuition costs rise. Even administration officials who only meet for board meetings a few times a year are paid thousands of dollars out of the college budget. The Center for College Affordability and Productivity did a research study that showed college administrations grew by 53 percent between 1987 and 2007. The research study warned colleges about hiring additional full-time workers and using labor resources in an unproductive way. As colleges grow more competitive and vie for national attention, more faculty members are being pressured to publish their works on a regular basis. Faculty members are pushed to publish more research papers, which requires additional resources from the college. Colleges have been spending more money on research projects and providing funding for professors to complete these projects. The benefits of completing a research project are that the college gains recognition in an established niche and also may be recognized in the media. Colleges now want to see that faculty members will devote significant time to pursuing research and recruiting students to collaborate on these projects. The only trouble is that most students require pay, and these research projects can be expensive depending on the resources they utilize. As states continue to cut funding, tuition will inevitably continue to rise for colleges. Some colleges receive their sole source of financial support from states. Western University Michigan is one such example. This college received about two-thirds of its funding from the state of Michigan, but this funding now accounts to only a mere 27 percent. When a state abruptly decides to cut funding, a college can be left having to cut major departments or having to let go of faculty members. As college tuition continues to increase, parents can help their children by guiding them to choose affordable college programs that fit their career goals and academic interests. You do not have to pay $40,000 a year for college if it isn’t in your budget. Your children can likely attend a state school and receive a high-quality education at a fraction of the cost. Kate Delaney is a finance program administrator and guest author at Top Colleges Online, a site with tools and guides to help prospective students evaluate top-rated degree programs online.